3) handed to the chairperson before the meeting starts, unless the authority is contained in a mortgage bond and that bond document is actually produced at the meeting. When more than one person owns a unit, all of the co-owners of that unit must act jointly to appoint one person as their proxy. The written proxy form must be signed by each of them or by their representatives, duly authorized in writing to make that appointment. Where the proxy forms are not signed by the owners personally but by someone they have appointed in writing, for example in terms of a general power of attorney, the chairperson must see the original or a properly authenticated copy of the underlying authority, in this example the general power of attorney, and ensure that it does give the owner’s agent the power to appoint proxies. A copy of an authorizing document should be certified as a true copy by either a Commissioner of Oaths or a Notary Public. A copy of a mortgage bond containing a proxy appointment may be certified by the office of the Registrar of Deeds. Apart from the formal validity of a proxy appointment, the chairperson should check whether each proxy includes any specific instructions or limitations on the representative’s rights to exercise the owner’s rights at the meeting. The chairperson must disallow or disqualify any purported proxy appointment form if it is not in accordance with the requirements detailed above. The information I’ve provided above comes from our Sectional Title Meetings Handbook. We also offer an online UCT certficate course in Sectional Title Meetings – so if you want to learn more about sectional title meetings those are your options! 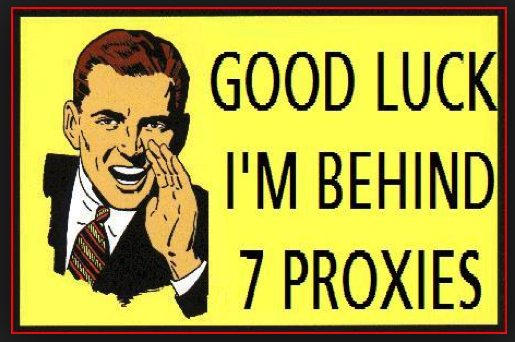 There is currently no limit on the number of proxies that one person can hold at a body corporate meeting! Question 2: Is the husband allowed to participate in discussions at the AGM? – We offer consulting via telephone for R390 for 10 minutes. Please call 0216863950. Hi please assist I live in a complex, when I advised Body corp that my son will be given proxy or authority to query and advise of any stuff regarding my unit I was told a affidavit was required and not a mere letter signed by me. Hi there, I’m about to attempt to join my buildings body corporate via a proxy but I need to know if I need to be a certain age to hold a proxy. I’m currently 18 years old. The Sectional Titles Act does not state the age that a person needs to be to hold a proxy. The Children’s Act states that a person reaches the age of majority at 18. Holding a proxy is akin to holding a power of attorney. When you exercise a vote on behalf of another person you take on a responsibility that may have legal consequences. The proxy holder should have an understanding of these legal consequences. It is for this reason that a person holding a proxy should be a major who is at least 18 years old. Hi, I have read almost all of the comments and applaud this valuable forum and site. Now the BC insists I recuse myself as I am only a Proxy holder and not a owner? They claim I have to obtain a Power of Attorney from the owner. Can you give me more clarity please? Thanks for your question. The body corporate is correct in that you require a Power of Attorney from the registered owner, as a member of the body corporate. The proxy form is only valid for that AGM which you attended on behalf of the owner. Thanks for the top notch blog. How does one proceed if proxies presented as false. At the next AGM, should we mention this? Any proposal in dealing with the member? Thanks for your question. The body corporate has the responsibility to ensure that all proxies are valid prior to the start of the meeting. As invalid proxies have an effect on the vote as well as the quorum requirements. It may be difficult after the meeting to determine whether the invalid proxy had a negative effect on the quorum and voting – if it can be determined that it did, it may invalidate the entire meeting. An owner who want s to run our sectional title autonomously., nominated his wife to be his proxy at the AGM. She nominated him to be a trustee. And he nominated her in wiritng to be a trusty even though he didn’t attend the meeting. They are now the trustees! Is this legal? Are Trustees employees of the BC? Hi Derick, short answer is no. They are elected officials of a BC. Thanks, Paddocks. The SS Manageent Act was built around the appointment of an Ombud, which was supposed to happen early 2011. No ombud as yet! Is the Sectional Title Scheme Management Act in force yet and if not, any idea when it will come into operation? Can a person still hold more than 2 proxies? After the conclusion of the AGM and it was later found that the appointment of Trustees was not in accordance with the Sectional Title Act. What could one do to rectify the situation? Hi Moses, thanks for your comment – we answer one question a day for free on our Paddocks FaceBook Page. Please find us on FaceBook, Like our Page and post your question to the Wall. One of our consultants will answer your question there! Thanks. Thank you for the positive feedack @v2 cigs coupon! WordPress is a great free blogging platform so I wouldn’t suggest that for starters you go for a paid option. Good luck! Please advise if a proxy must be the original form or whether an email or fax signed copy is acceptable? Also, if it is a legal entity, eg a trust or company, does the Chairperson need to establish whether all the trustees of the trust etc have signed the proxy form or a resolution appointing a person to sign the proxy form? For that we would obviously require an updated CIPRO print out verifying the current trustees etc. Hi Susan, if the original proxy form has been scanned in and then emailed/faxed and printed out again – that is acceptable. The underlying principle in PMR 67(2) is that the proxy must be appointed “in writing” and then “handed” to the chairman. In response to your second question, yes – the chairperson the needs to go back as far as necessary to ensure that the correct authority is in place for the proxy appointment. Does one have to give a new proxy form for each meeting? One of our trustees was given proxy for some units 2 years ago, and believes that she still has proxy to vote for them, whereas I was under the impression that one has to have a new proxy form for each meeting. Hi Eliza. It will depend on the terms set out in the proxy appointment. Some proxy forms provide that the appointment is for a single meeting, some provide that the appointment is for a set period of time and others are open ended. We have a perpetual trustee who goes around before every AGM to find out who will not be attending, and then gets them to give him their proxies. He also makes a list of nominees for his friends to advise them whom to vote for. It has come to light at a meeting when one of his friends could not remember whom to vote for, and asked the owners around her for the list. Rental Agents should not be allowed to hold proxies or vote. It is a direct conflict of interest. A service provider interest is never the same as an Owners interest. In addition in our case we are all bit players on the developers stage who holds nearly half of the units. His Rental Agent manipulates the meetings to his favour since she holds the majority proxies to all the Owners costs. Could we say a Rental Agent is an employee of a BC and therefore cannot hold proxies? Our proxy forms state that if you, the owner, fails to appoint a proxy or if your appointed proxy fails to attend the meeting then the right to attend, speak and vote for you automatically falls on the chairperson. In my opinion this in effect means the chair takes proxy by default, that there is always a full quorum and our chairperson can attend the meeting on his/her own without any signed proxies but still have 100% of the votes. It is the first time in my life that I saw a proxy form like this. Is this the norm? Hi Wills. This sounds completely irregular to me… An owner needs to appoint a proxy by signing a proxy form and just because it says on the scheme’s standard proxy form that if an owner doesn’t the chairperson is the default proxy, doesn’t mean that each and every owner has signed that proxy form effectively agreeing to it. Furthermore, one person cannot have a meeting by him/herself… This is all quite dodgy if you ask me!! Hi Stephane. No. Regardless of whether a proxy is another owner or not s/he is entitled to vote if validly appointed. An owner is entitled to vote and if that owner can’t attend s/he is entitled to appoint a proxy to vote on his/her behalf. Does that mean that the proxies are not owners and not entitled to vote? Maybe proxies should not be entitled to vote on business they are not aware of and therefore that should wait until another day. Change through Conduct Rules? Yes, I know, not all of us like this type of democracy but you would think that the Trustees are looking after your interests as they were elected to that position in the first place. Sounds like a country I know well! Our problem starts with the chairperson/Trustee we arrives with 30 proxies. When it comes to voting, he starts off with 30 votes plus his own. We as owners are always out-voted.Is there a maximum number of proxies one can use as a vote? Hi Andre, unfortunately there is currently no limit on the number of proxies one person can hold and this is something that gets taken advantage of – as in the situation you describe! Are you not incorrectly ignoring Section 6(5) of the Sectional Titles Scheme Management Act which restricts proxies to 2 per member? Hi Kevin, the STSM Act is not yet in operation so its provisions do not currently apply. It’s regulations have not been finalised and approved by Parliament. So the applicable legislation is still the Sectional Titles Act 95 of 1986 and its regulations including the prescribed management and conduct rules. What happens in the case where the unit is owned by a trust? The person acting as representative for the last 12 years now have Alsheimers. Can he just appoint another person or are there more requirements? Hi Wilna, thanks for your comment. The trustees of a trust that owns a unit must appoint a person (who will normally be one of them but can be another person who is not a trustee) to represent the trust at BC meetings. This is not a proxy appointment but similar to the situation in which a company that owns a unit appoints one of its directors to represent it at BC meetings. Is it therefore assumed that once the Chairman has accepted the proxies (whether correct or not) those votes count for that meeting? Hi Stephane. Thanks for your comment. Yes, the chairperson is entitled to decide whether a proxy is valid or not. While the chairperson’s ruling is not conclusive proof of the correct interpretation of the issue, it puts the burden on all others to prove the ruling was incorrect. If a court finds the ruling was incorrect and it substantially prejudiced any member, it can reverse that ruling. Thanks. This is where it gets murky and lawyers and litigation, gets involved. It is great if the voting outcome suits you but if it doesn’t and you have the means……it can get a bit nasty. This entry was posted on September 10, 2013 by Paddocks in Legal, Meetings, Online education and tagged proxies, proxies at AGM, proxies at body corporate meetings, proxy, proxy requirements, sectional title, sectional title meetings, sectional title proxy.